MacSwitch is a free portable tool that replaces the default Windows Alt-Tab style to Mac OS X style. 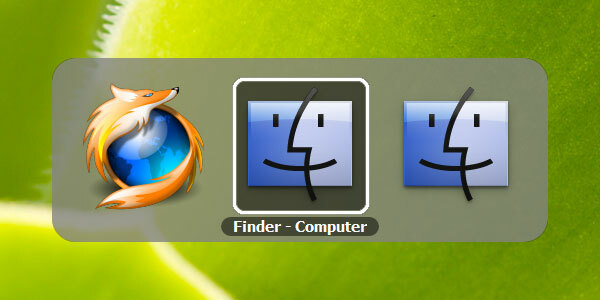 Install and run it and it will replace the default alt-tab style to Mac OS X style. To revert to the default style, press Alt+Tab, right-click on the dialog and select Exit. You can add its shortcut to your Startup folder so that it runs every time Windows starts.